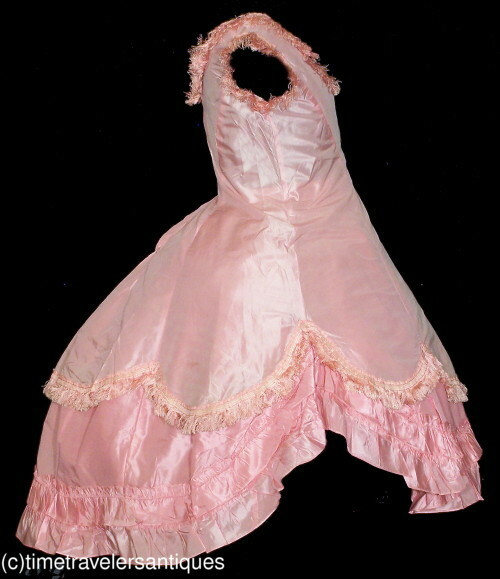 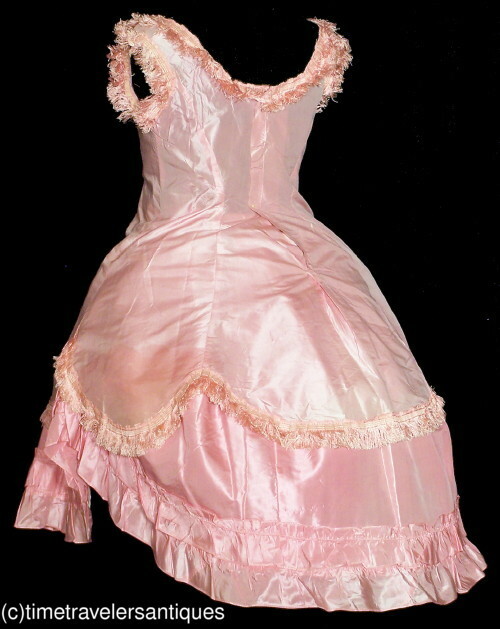 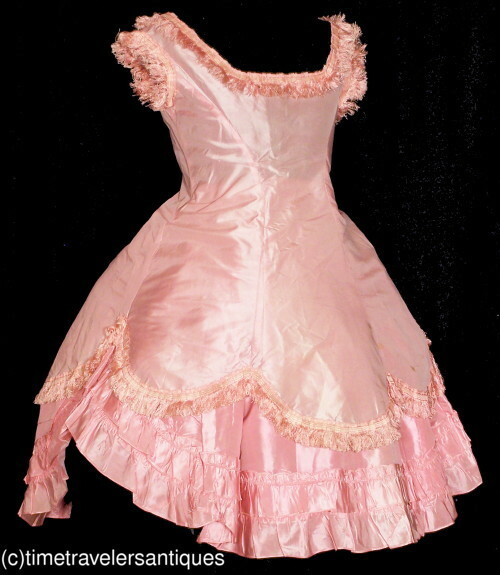 A very sweet original circa 1869 girl's two piece pink silk taffeta dress in a fashionable transitional bustle style, with an unlined top with a scalloped hem, a back hook & eye closure, an underskirt of the same shade of pink as the silk fringed gimp, lined in crinoline, with a two tiered scalloped edge, a box pleated front and a cartridge pleated back to the waistband, and a back hook and eye closure. 12" from shoulder to shoulder, a 29" chest, 26" waist, and 34" from shoulder to front hem. 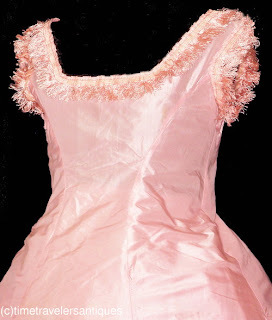 In good as found condition with a few light spots near the hem of the overskirt, only a slight color variation to one scallop, a few pin dot age flaws, and one 1/8" by 1/2" hole at the back of the waist. 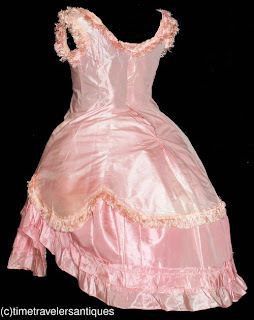 A very stylish Victorian era girl's special occasion dress.